The understated beauty of these tracks is laced with a certain melancholy. World’s Fair. 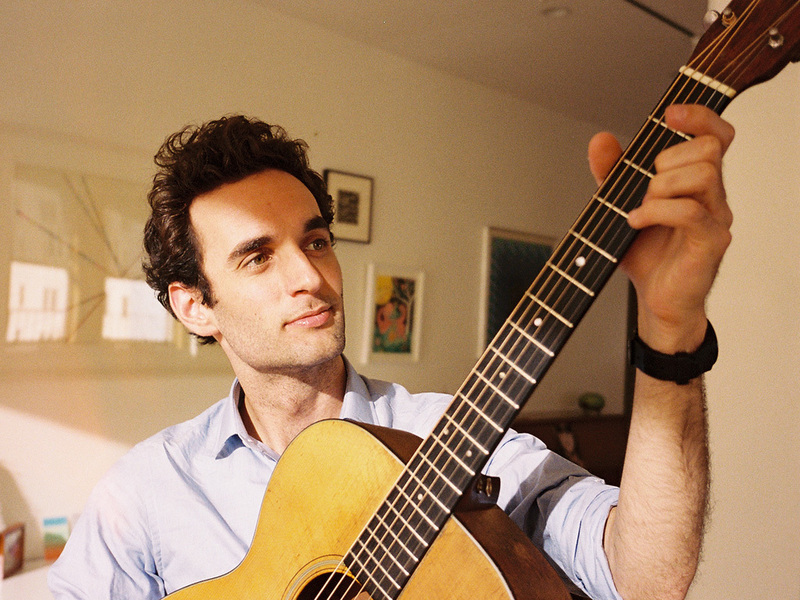 Julian Lage’s first solo guitar album, is so spontaneous and intimate in feel it’s as if this prodigious guitarist had just arrived in your living room, picked up his vintage Martin, and simply started to play. It’s very much a project created in the moment, a dozen acoustic guitar tracks recorded over the course of a mere two days, at Sear Sound in New York City. In concept, however, World’s Fair was more than a year in the making, as Lage gradually came to embrace the rich musical and emotive possibilities within the austere format of one musician and one acoustic guitar. The album title is a clue to Lage’s intentions, the phrase conjuring up a bygone hopeful vision of the future, a “tragic optimism,” in Lage’s words, since the future never quite turned out as the presenters at those grand expositions had predicted. The understated beauty of these tracks is laced with a certain melancholy, especially on the ruminative opening cut “40s” or when Lage gently delivers a spare rendition of Rogers and Hart’s “Where Or When.” World’s Fair seems suspended in time, using the past as a reference yet seeming somehow daring and contemporary in its unadorned arrangements and unabashed melodicism. The mood is often contemplative but, at times, on tracks like “Peru” and “Red Prairie Dawn” he kicks the tempo up a notch, with his fingers scampering quickly across the strings. While conceiving of and recording World’s Fair, Lage was inspired by the orchestral approach to the guitar of the great Andres Segovia and by the music of the early 20th Century, of “jazz before be-bop”: “There is this era that is like the wild west, when there were jazz songs that were popular tunes and virtuosic, that had incredible lyrics, from writers like Willard Robison or Hoagy Carmichael.” He found a similarly unbound spirit in the early seventies work of singer-songwriters like Randy Newman, who managed to incorporate a sophisticated range of ideas into the concise pop-song format: “It was hard to pin down what it was, but the music felt so true to itself, completely fresh and yet it you couldn’t imagine a time when it didn’t exist.” He was drawn, in other words, to sounds that were both challenging and pleasing -- work, much like his own,that defies easy categorization. Though Lage alone performs on Worlds Fair, the project is also, in a sense, a collaboration: he enlisted two long-time musician colleagues, the jazz guitarist Matt Munisteri and the multi-instrumentalist Armand Hirsch, as, respectively, his co-producer and engineer-mixer. Munisteri offered extensive knowledge of the early 2oth Century music that was captivating Lage, and served a discerning ear throughout. Hirsch brought technical innovation and an adventurous soul to the recording itself.